While passion and natural talent certainly have their place in every writing career, like most other professions, authors still need to spend time developing their craft. Sure, you can go on the occasional day course with a novelist, perhaps a weekend writing retreat, or even enroll in a long-term creative writing college programme, but one of the easiest (and cheapest) ways to evolve as a writer is by investing in a few easy-to-digest paperback guides. Written by experts, these little gems allow you to learn everything from how to plot and structure a novel to finding an agent or publisher for your completed manuscript – for the mere cost of a book. Here are 20 we’d recommend for any author’s bookshelf. Filled with plot examples from popular novels, comprehensive checklists, and practical hands-on tutorage, Plot & Structure will have you approaching the technicalities of novel writing like a pro. Packed with easy-to-understand charts and diagrams, thought-provoking exercises and brilliant brainstorming techniques for original plot ideas – we love this book. Widely considered a writing guide classic, Bird on Bird is like sitting down for a coffee with a direct and feisty family friend who just happens to have a lifetime of writing knowledge and experience. It’s a veritable treasure trove of wisdom, which covers everything from defeating self-doubt and banishing perfectionism to writing ‘crappy’ first drafts (this is highly encouraged). Anne Lamott’s candor is utterly refreshing and her no-nonsense voice will stay with you long after you’ve typed The End. You don’t have to be a massive horror fan to respect Stephen King’s prolific writing career. Since the publication of Carrie in 1974, he has published hundreds of fictional works, which have sold in their millions all over the world. If ever there was an author you’d like to sit down with for a one-on-one, he might just be it. Fortunately, for less than £10 you can pick up a copy of On Writing – a book many authors credit as the one that changed their lives. Part textbook for writers, part memoir of King’s life and writing career, On Writing is brilliantly structured, friendly and inspiring, and will empower and entertain everyone who reads it. Highly recommended. 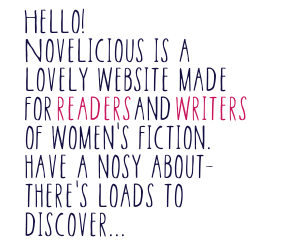 Writing Magazine's agony aunt Jane Wenham-Jones takes you through the minefield that can be writing and publishing a book in Wannabe a Writer? with lots of practical, personal and honest advice to even the most basic of questions. The book features contributions from over 100 authors, agents, publishers and journalists, too, including Jilly Cooper, Ian Rankin, Katie Fforde, Carole Matthews and the likes of HarperCollins, Orion and Simon & Schuster. With 50 years in the publishing industry under her belt, literary agent Carole Blake believes the secret to making money from your fiction writing is not only in the quality of your work but your approach to the publishing process. Utilising decades of industry insider knowledge, Pitch to Publication offers instruction that you can put into practice from the moment you pick up the pen all the way through to your book hitting the shelves. Written with insight, humor, and practicality, Natalie Goldberg inspires writers and would-be writers to take the leap into writing skillfully and creatively. She offers suggestions, encouragement, and solid tips on many aspects of the writer’s craft: on writing from ‘first thoughts’, for example, ("keep your hand moving, don’t cross out, just get it on paper"), on listening ("writing is 90% listening; the deeper you listen, the better you write"), on using verbs ("verbs provide the energy of the sentence") – even on choosing a restaurant in which to write. Whether you’re a first-time novelist or a published author in something of a sales limbo, literary agent Donald Maass believes he can help you write your breakout book – the one that rises out of obscurity and hits the bestseller lists. Writing the Breakout Novel was actually recommended to us by author Liz Fenwick so we were intrigued and couldn't wait to check it out. What we found was a book that truly encourages you to raise your game as a writer. You’ll learn to develop an inspired premise that sets your novel apart from the competition, explore universal themes that will interest a broad audience of readers and so much more. Another Liz Fenwick recommendation, University of Kent lecturer Scarlett Thomas’s Monkeys with Typewriters is full of sound information, which refines her teaching into a cogent programme – with exercises, charts, the lot. The book explores and breaks down great plots from Plato to The Matrix and from Tolstoy to Toy Story, and shows you how to unlock any narrative while learning to create your own. Voice is something you hear an awful lot about when you’re an aspiring writer. It really is as simple as the unique style of individual authors, but it can cause an awful lot of confusion when you're starting out. This book is a pretty basic tool, which will help you find and develop your voice. From accessing your raw voice and working in first and third person to using your voice to shape a story, it’s full of creative inspiration and pragmatic advice. Sol Stein edited and published some of the most outstanding writers of the 20th century and is a prize-winning playwright and bestselling novelist in his own right. In this book, he offers help on the most important recurrent problems novelists encounter when learning their craft. With numerous examples from the work of both established bestselling authors and talented newcomers, combined with detailed analysis, he reveals the secrets that can lift a piece of creative writing and give it that spell-binding quality that holds the reader enthralled. John Gardner was almost as famous as a teacher of creative writing as he was for his own works. In this down-to-earth, instructive handbook, based on the courses and seminars that he gave, he explains, simply and just as a mentor or friend speak to you, the principles and techniques of good writing. Another highly recommended book for your shelves. If you’re anything like us, you have a tendency to race through books at speed, desperate to reach the dizzying conclusion, before jumping straight into the next novel. In the bestselling Reading Like a Writer, Francine Prose encourages readers to slow down and pay attention to words, the raw material out of which all literature is crafted, and reminds us that good writing comes out of good reading. Can you write a novel in a year? If you simply sit back and think about the enormity of writing a book, it will seem like a vast and unconquerable task, impossibly daunting. The way to make it less daunting is to break it down into bite size chunks, to do it bit by bit, which is exactly what Louise Doughty does in this book. Extremely workable and brimming with sound guidance and exercises. “If you are writing without zest, without gusto, without love, without fun, you are only half a writer.” Ray Bradbury’s love of writing was always infectious, as depicted in this collection of his greatest essays on the written word. It’s impossible to read this book and not feel totally refreshed. A great and uplifting read to have on hand for those times when you feel you’ve hit a creative brick wall. Tools you can actually use rather than yet another of a list of writing rules, Roy Peter Clark’s plainspoken guide dispenses a lifetime’s worth of reasonable advice in one slim, readable volume. Advice to Writers is “a compendium of quotes, anecdotes, and writerly wisdom from a dazzling array of literary lights”. From how to find a good agent to what makes characters compelling, it gathers the counsel of more than 400 celebrated authors in a treasury on the world of writing, covering grammar, genres, material, money, plot, plagiarism, and, of course, encouragement. With over a million copies sold, the incredibly warm and easy-to-digest On Writing Well is just as much for those who need to do just a little writing to get through the day, as almost everybody does in the age of e-mail and the Internet, as it is for novelists. Basic, fundamental principles are covered by Zinsser, but even seasoned pros can learn a thing or two from this little book. Throughout Hemingway’s career as a writer, he maintained that it was bad luck to talk about writing – that it takes off “whatever butterflies have on their wings and the arrangement of hawk’s feathers if you show it or talk about it.” Despite this belief, by the end of his life he had done just what he intended not to do. In his novels and stories, in letters to editors, friends, fellow artists, and critics, in interviews and in commissioned articles on the subject, Hemingway wrote often about writing. This book compiles the best of those reflections from one of the best writers of the 20th century. An illuminating read. When Austin Kleon was asked to talk to students at a community college in upstate New York, he sat down and wrote a talk based on a list of 10 things he wished he’d heard when he was starting out. The text and slides from the talk “rocked the creative world” (GalleyCat) and went viral. Since then, Kleon has expanded the talk to a book-length manifesto for creativity in the digital age, stuffed full of writing aid and inventive tips. One of our recent favourites. How many of these have you read? What would you add to the list?